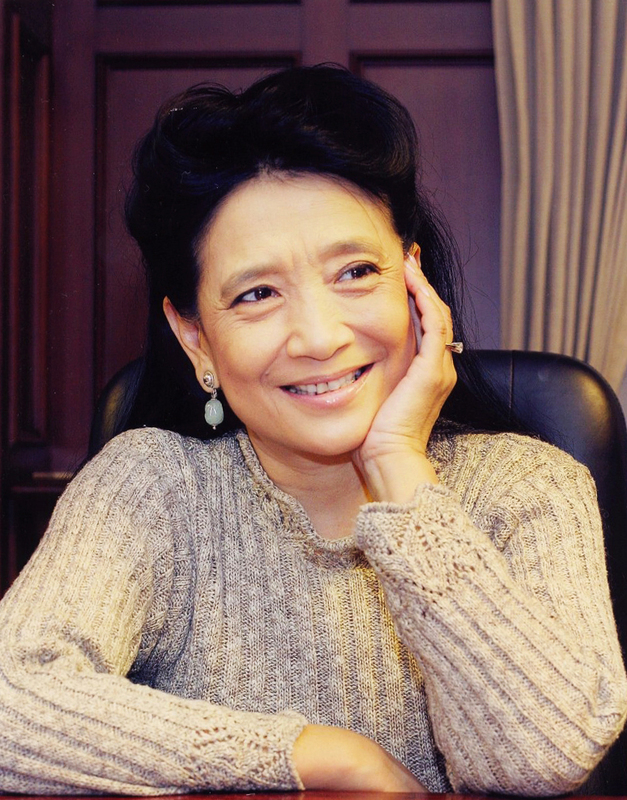 Jung Chang, acclaimed author of Wild Swans: Three Daughters of China (1991), which the Asian Wall Street Journal called the most read book about China; Mao: The Unknown Story (2005, with Jon Halliday), which was described by Time magazine as “an atom bomb of a book”; and Empress Dowager Cixi: The Concubine Who Launched Modern China (2013), is joining the The Script Road – Macau Literary Festival 2018 edition, scheduled to happen from March 10-25, at the Old Court Building, Macau. Along with Jung Chang, the Festival will bring to town more than 60 writers, translators, musicians, filmmakers, performers and visual artists. A most prestigious contemporary author, Jung Chang is one of the many add-ons to The Script Road’s 7th edition programme, that previously announced the attendance of guests such as North Korean defector and human-rights activist Hyeonseo Lee, undercover author Suki Kim, and former secret service agent and novelist James Church, as well as Peter Hessler, Leslie T. Chang, Rosa Montero, Han Dong, A Yi, Rui Tavares and Julián Fuks, amongst others. 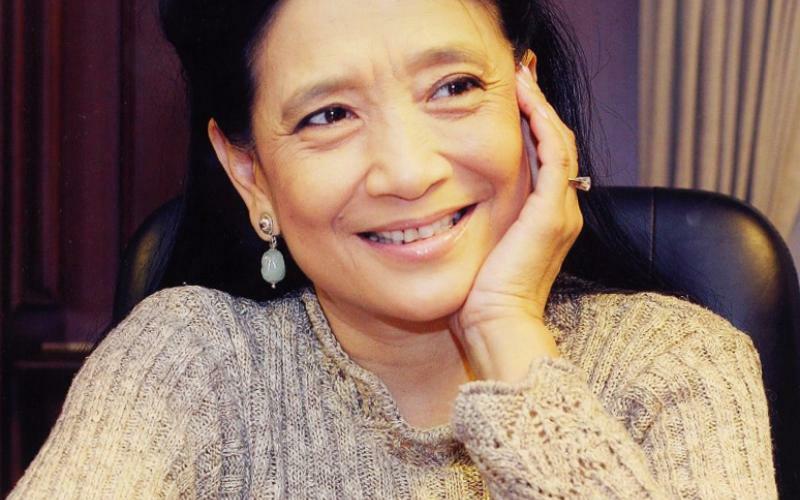 Jung Chang’s books have been translated into more than 40 languages and have sold more than 15 million copies worldwide. She has won many awards, including the UK Writers’ Guild ‘Best Non-Fiction’ and ‘Book of the Year UK’, and has received a number of honorary doctorates from universities in the UK and USA. Jung Chang was born in Sichuan Province, China, in 1952. During the Cultural Revolution (1966-1976) she worked as a peasant, a “barefoot doctor”, a steelworker, and an electrician before becoming an English-language student at Sichuan University. She moved to the UK in 1978 and obtained a PhD in Linguistics at the University of York – the first person from Communist China to receive a doctorate from a British university. One of the many other highlights of the Macau Literary Festival 2018 is the attendance of Li-Young Lee (1957, Indonesia), a multi-awarded American poet, author of several poetry collections and the memoir The Winged Seed: A Remembrance. Born of Chinese parents in Jakarta, Lee learned early about loss and exile. Right after Sun Yat-sen’s provisional period, his great grandfather was China’s first republican President, Yuan Shikai; and his father, a deeply religious Christian, was physician to Communist leader Mao Tse-Tung. After the establishment of the People’s Republic of China in 1949, Lee’s parents moved to Indonesia. In 1959, his father, after spending a year as a political prisoner in President Sukarno’s jails, fled Indonesia with his family to escape anti-Chinese sentiment. After a five-year trek through Hong Kong, Macau, and Japan, they settled in the United States in 1964. Marco Lobo, a Tokyo-based writer and descendant of the Lobo Macanese family, will also join The Script Road. His interest in the Portuguese diaspora springs from a multicultural upbringing that began in Macau and Hong Kong, and then continued across Asia, Europe and the Americas. The experience allowed him to closely observe the diverse societies in which Portuguese culture has spread, thrived and influenced. His historical novels, The Witch Hunter’s Amulet and Mesquita’s Reflections, explore themes of cultural conflict involving race and religion. With a strong focus on China, The Script Road is proud to announce guests such as Lijia Zhang, a factory-worker-turned writer, social commentator and public speaker. One of the few Chinese who write regularly in English for international publications, her articles have appeared in The Guardian, The South China Morning Post, Newsweek and The New York Times. She is the author of the critically acclaimed memoir Socialism Is Great! which details her experience in a rocket factory, and her debut novel Lotus, on prostitution in contemporary China, was published by Macmillan in January 2017. Other guests at this year’s Festival include Miguel Syjuco, novelist, journalist, and university professor from the Philippines – his debut novel Ilustrado was a NY Times Notable Book of 2010 as well as the winner of the Man Asian Literary Prize; Su Wei, acclaimed essayist and novelist and a native of Guangzhou; Lenora Chu, a Chinese-American journalist and author of Little Soldiers; and a number of acclaimed Chinese and China-related authors, translators and academics, such as Yu Jian, A Yi, Hu Xian and Yin Lichuan; Nicky Harman, Jeremy Tiang, Austin Warner, Wolfgang Kubin and Duncan Clark, biographer of Jack Ma (see full guest list and bios below). Local authors will again form an important part of The Script Road programme. Poet, scholar and media columnist Jenny Lao-Phillips, children’s literature author and scholar Paul Pang, poet Rui Rocha, poet and historian Fernando Sales Lopes and fiction author Isolda Brasil will be taking the stage on different occasions during the two weeks of the Macau Literary Festival. A number of special sessions will also take place, with poetry readings and jam sessions – one of them with the special presence of renowned Chinese poet Bei Dao. A panel session entitled “History of Macau Press: Cross Perspectives” (March 14) will be held in partnership with the Macau Portuguese and English Press Association (AIPIM). There will also be an afternoon devoted to Architecture and Urban Planning, with a discussion entitled “River Cities Crossing Borders: History & Strategies” (March 16). Additionally, a Poetry and Jam Session will be held at Grand Lapa, and a Children’s Literature Session at St. Regis. On March 24, The Script Road welcomes a talk on “Women’s Voices”, led by Bloomberg’s top news editor in Hong Kong, Jodi Schneider, again in partnership with AIPIM. As usual The Script Road Concerts will be back, with two acts and tickets on sale within this week (exact date to be announced soon) at www.macauticket.com and the Macau Portuguese Bookshop. On Saturday March 10, 9pm, at Pacha Macau, JP Simões-Bloom will take the stage, followed by DJ Selecta Alice. Pacha, the hottest club in town, is partnering with the Macau Literary Festival to showcase the talent of Bloom, the new pseudonym of JP Simões, a singer and Portuguese composer, who has been involved in several projects such as Pop dell’Arte, Belle Chase Hotel, Quinteto Tati and lately has been working solo. The search for a new sound has taken him on musical paths very different from his usual work. Tremble like a Flower is the name of his first solo album that crosses folk and blues in psychedelic landscapes. He will perform songs from the album in a duet with musician, composer and producer Miguel Nicolau at The Script Road. Later, DJ Selecta Alice will take control of the dance floor. She is one of the promoters and pioneers of getting World Music in DJ sets in Portugal. Curator of the Sacred Fire stage at Boom Festival, in her sets, Selecta Alice pays tribute to the culture of partying and celebrating life through music and the ritual of dance. The rhythms of Africa, Latin America, the Balkans and India are mandatory stops in her sound travels around the world. On Sunday March 18 at 8pm, it is time for Zhou Yunpeng to take to the stage of Dom Pedro V Theatre, in the city centre, with his songs. He is a folk singer and poet born in Shenyang in 1970, who became blind at the age of 9. When he was 10, he went to Shenyang Blind Children School, and then to the Special Education Institute in Changchun University (1991), majoring in Chinese Language. After graduating, he moved to Beijing and began his singing career. He has released several albums: The Breath Silent as a Secret (2004), Chinese Kids (2007), Fried Bitter Cucumber (2008), Cattle and Sheep Down From the Mountain (2010) and Old Town in April (2014). He is also the author of books such as Spring Blame (2010), Green Train (2011) and Get up to Listen to the Silence at Midnight (2017). In 2011, he was awarded the ‘Best Folk Singer’ and ‘Best Lyric Writer’ by Chinese Media Music, and his poem The Wordless Love was considered the ‘Best Poem’ by People’s Literature magazine. He also took part in the film Detective Hunter Zhang and composed its soundtrack – the film won the ‘Best Film’ award at the Golden Horse Film Festival (Taiwan). In 2017, he wrote the soundtrack for the film At the Dock. On the visual arts side, The Script Road – Macau Literary Festival will host a series of exhibitions as in previous years. A group show curated by Architect Maria José de Freitas and putting together a number of works by local artists and architects such as Ung Vai Meng, Carmo Correia, Adalberto Tenreiro, António Mil-Homens, Chan In Io, João Miguel Barros, Francisco Ricarte, Gonçalo Lobo Pinheiro and Manuel Vicente – also entitled River Cities Crossing Borders: History & Strategies – will be presented at the Old Court Building. Local artist João Ó will showcase Model for an Impossible Black Tulip, part of a larger project entitled Memory Palace. João Ó presented it for the first time at the Portuguese National Museum of Natural History and Science. This project reflects on the character and the achievements of the priest and scientist Matteo Ricci, the Italian Jesuit who used Macau to establish himself in mainland China during the XVI century. The piece shown at The Script Road is a rotating sculpture entirely made of bent bambu, simulating an infinite spiral of lines. Its name evoques the Complete Geographical Map of all the Kingdoms of the World, drawn by Ricci in 1584 and printed on wood in 1602. At the Macau Portuguese Bookshop, The Script Road will be presenting Literary Landscapes of a Traveler, an exhibition by Portuguese artist Rui Paiva, who lived in Macau years ago. Together with his artworks and a collection of objects, Paiva will be launching his recently published book, White Cloud, both an Artist Book and a summary of his life. Since 1988, Rui Paiva has been participating in solo and collective exhibitions in Portugal, Macau, Hong Kong, Vietnam, Malaysia, South Korea and Japan. He has illustrated books of Macau poets, having published an illustration book in 1982. Two exhibitions organised by long-standing partners of the festival, Orient Foundation and Creative Macau, will also be part of The Script Road programme. Faces of Poetry, by Chinese artist Chen Yu, will open on March 13 at Casa Garden, followed by a poetry reading. Punacotheca, by local cartoonist Rodrigo de Matos, will be held at Creative Macau from March 22 to April 21. The Macau Literary Festival will be screening a total of five films this year, both at Cinematheque Passion and the Portuguese Consulate-General. Leading Chinese filmmaker Ju Anqi is traveling to Macau with his latest film, Poet on a Business Trip; writer and director Han Dong will be showing At the Dock; and poet Yu Jian will present his documentary Jade Green Station. Portuguese director Rita Azevedo Gomes will be coming to town to showcase Correspondências, a film based on the letters exchanged between two leading Portuguese poets, Sophia de Mello Breyner Andresen and Jorge de Sena. The Macau Literary Festival will also screen The Revenge of a Woman, by the same filmmaker. The Script Road – Macau Literary Festival 7th edition has the support of the Macau SAR Government, Macau Foundation, several diplomatic missions from countries such as Portugal, the U.S.A, Spain, the Philippines, Brazil and the U.K., and a number of private sponsors and supporters including: SJM – Sociedade de Jogos de Macau, MGM Macau, Sands China, Wynn Resorts (Macau) S.A., Galaxy Macau, Melco Crown Entertainment, ICBC, CTM, Air Macau, Ascott Macau, Starwood Hotels, Grand Lapa Macau, Pousada de Coloane, Pacha Macau, Cotai Water Jet and Turbo Jet. Orient Foundation and IPOR – Portuguese Oriental Institute, Institute of European Studies, University of Macau, Macau Polytechnic Institute, AIPIM, Casa de Portugal and a large number of Media Partners are also lending their valuable support to the Macau Literary Festival. The Script Road – Macau Literary Festival was founded in 2012 by local newspaper Ponto Final and is based in the Macau Special Administrative Region (MSAR). The Festival is the largest gathering of literati from China and Portuguese-Speaking Countries ever organised in the world. In recent years, it has gained in popularity, becoming an international event that welcomes renowned writers, publishers, translators, journalists, musicians, filmmakers and visual artists of various nationalities. The 2017 edition of the Macau Literary Festival brought together authors from different geographies, including 2016 Man Booker Prize finalists Madeleine Thien and Graeme Macrae Burnet, as well as many writers from China and Portuguese-speaking countries. The Macau Literary Festival has the support of the MSAR Government and Macau Foundation, as well as that of several private entities. A number of companies, local associations, schools and universities also support this literary event. The Diplomatic Missions of some of the countries represented by writers attending the Festival also lend important support to The Script Road.